Is this album just the songs or does it have the story with it? 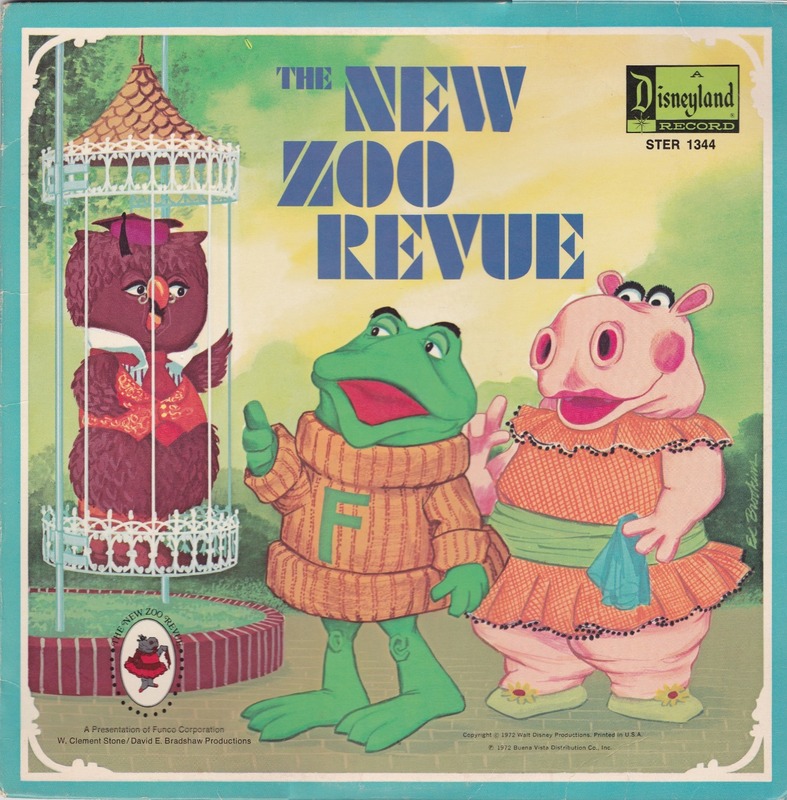 I understand that now, the New Zoo Review is available on DVD, but certainly when they were first broadcast in the 70s, there was no real way to re-experience the show other than through purely audio media. And for a television show recorded and stripped of images, what a surprisingly fresh and joyful record this is! (Oh, and yes: It is two episodes; each broadcast was a half-hour only). Something about Disneyland putting out a record for this guys just impresses me! I had this LP as a child. I remember my mother thought the use of the word "jerk" in "It's Lonely When You Don't Like School" was offensive. This was before Cee Lo Green. Anonymous...this particular album (# STER-1344) has just the songs. 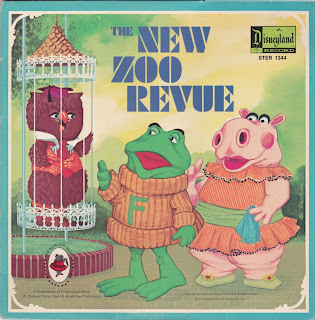 Disneyland had also released "The New Zoo Revue" as an illustrated book and LP (# STER-3807) that same year, with "Emmy Jo" narrating the stories connecting the songs.